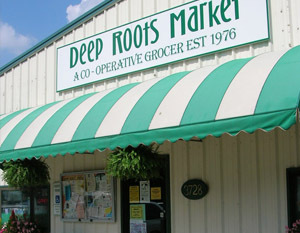 Deep Roots Market has grown organically out of the Greater Greensboro community since its founding in 1976. The co-op, dedicated to service, is intertwined with the goals of its owners, supporters, and all customers. 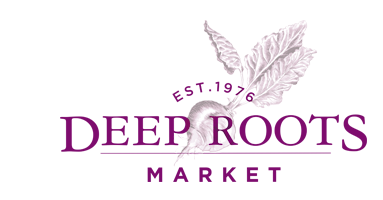 Deep Roots Market began as a small vegetarian buying club in a Guilford College dormitory in the 1960’s. By 1976, ownership in the co-op had grown large enough to support a storefront business, and incorporated to become Deep Roots Market. 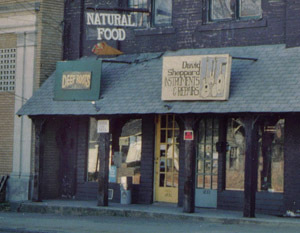 In 1990, Deep Roots Market moved to 3728 Spring Garden Street were we served the nutrition and wellness needs of Greensboro and surrounding communities for over 20 years. 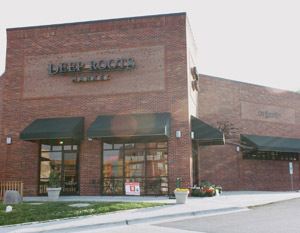 In March of 2013, Deep Roots Market relocated to downtown Greensboro at 600 North Eugene Street to continue to meet the needs of our growing owner base and the community.